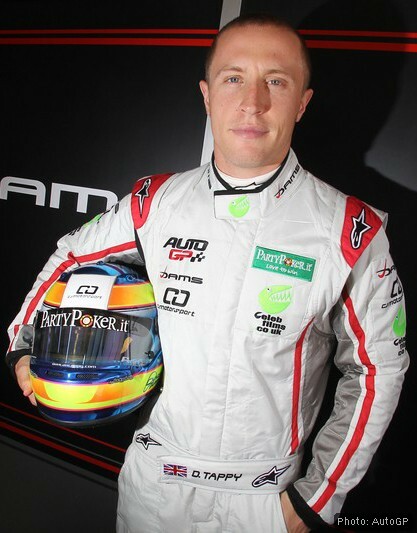 Hitchin-based web agency Onlineability is delighted to announce that the new website it has built for British racing driver Duncan Tappy is now live. You can view it here. Duncan is one of Britain’s most complete racing talents. Twice nominated for the country’s most prestigious racing prize, the McLaren Autosport BRDC Young Driver of the Year Award, he is a past winner of the Formula Ford Festival, the Formula Renault UK title and a former BRDC Rising Star and Superstar. When he needed to update his website for the 2010 season, when he returns to Superleague Formula with the Brazilian club Flamengo and racing for a full season in the Auto GP series for DAMS, he worked with Onlineability to produce what we feel is one of our strongest designs to date. The site is based on the WordPress platform which means it will be easy to update and upgrade and will perform well in search engines. And the content and design are managed separately which means that, when the time comes for a new look, it can be achieved with minimal disruption. Duncan said: “In motorsport, image is everything, especially in regard to potential teams and sponsors. Drivers need a site that looks classy and professional and that is easy to keep updated. Onlineability director Andy Darley added: “It’s been a pleasure to work with Duncan. Not only does he have one of the best racing CVs around but he’s also a great ambassador for any company, with a mature and professional attitude. The benefits to us of partnering with him have been powerful. “We were looking to create a site that was distinctive, contemporary and eye-catching, but also easy on the user, capable of providing all the information on Duncan’s career that fans, investors and the racing community could want in as accessible a way as possible. I am really pleased with the result we have achieved.  You can follow Duncan’s career as well as those of other exciting British motorsport talents by visiting our racing site BritsOnPole.com. Filed under Things we've done and tagged with British motorsport, Duncan Tappy, WordPress.